The development of technology facilitates businesses with mobility at its best. Hosted PBX is one such communication tool. It costs businesses less on telephone equipment while employees can work from anywhere and they can still be connected to the same office telephone system. With quicker setup and user friendly features it has become an ideal service to provide businesses geographical flexibility. As the business grows scalable hosted PBX allows expanding the virtual telephone system and accommodating the new users as per need; unlike the traditional telephone system where the number of users is limited and depends on the number of access lines purchased from the service providers. Hosted PBX is a service where the call platform and PBX features are hosted at the service provider location. 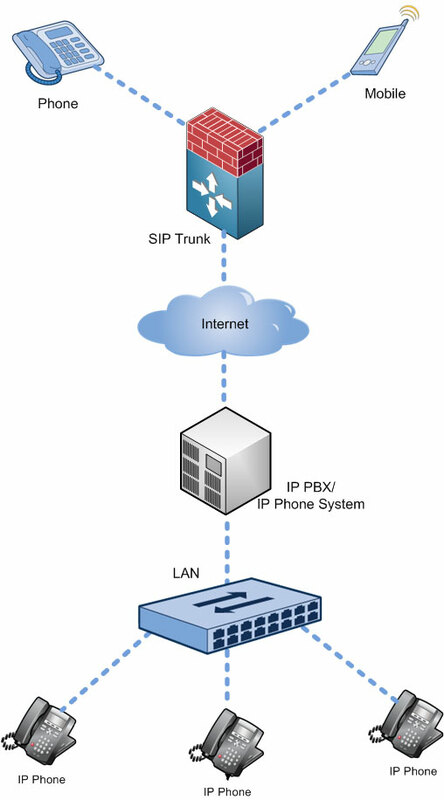 The business end users connect via IP to the provider for voice service. This technology allows small and medium-sized businesses to have a sophisticated telephone system without the investment in telephone equipment. In fact, the entire telephone system is operated and maintained by your Voice-over-IP (VoIP) service provider. A Hosted PBX lets employees work from their home, a hotel or on their cell phone while still being connected to the same office telephone system. Just like a Fortune 500 telephone system, you can transfer callers, put them on hold with music, set up conference calls or have the phone answered by an automated attendant who can direct callers to different departments. This service allows users to configure their PBX to create call queues and groups, view call detail records & billing information, upload music on hold. Auto attendant is configurable as Always on, Time based and sub-level based on using in different departments within the office. This service allows to manage calls by configuring call hold, call transfer, call forwarding, call blocking, fine me (Digital Assistant), incoming DID routing, speed redial, call waiting indicator, automatic call distributor, call recording, office intercom. Call conferencing allows the user to make 3-way conference calls, to bridge conference by letting multiple on-site and outside callers to participate in a single conference session through proper authentication, to upload customized music “on hold” through portal. Reporting includes real-time information on CDR (Call Detail Records), Call volume graphs by time of day, month or year to display the calling patterns and trends, call traffic reports and detailed accounting to track orders, invoicing and billing online. Free calls to other Voice subscribers; “on-net” free calls. That means customers will not be billed for any call to another user on the same PBX. Domestic Origination; this provides local phone numbers or DIDs. That means customer’s phone number is mapped into the system and customers get highest quality voice communications and flexibility of Voice over IP (VoIP) with their local phone numbers. Domestic Termination; provides competitive outbound call packages ranging from pay-as-you-go, prepaid minutes and unlimited usage plans. International Termination; offers competitive international rates.